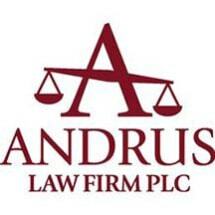 At the Andrus Law Firm, PLC, in Grand Blanc, Michigan, we are fully prepared to help you recover the finances you need after a debilitating injury or work-related illness has left you unable to work. Serving clients throughout Genesee County and the surrounding areas of the Flint metro region, attorney Darrin J. Andrus has extensive experience handling Social Security Disability and workers' compensation claims, and our law firm offers the best chance you have of receiving your rightful benefits whether you are just now applying for the first time or you have had your benefits claim denied. Over the past 17 years alone, we have successfully handled thousands of claims, and our law firm has earned a reputation as one of the leading practices in the region for those in need. We have recovered over $100 million in benefits for our clients. Along with SSDI and workers' compensation, we also handle most personal injury claims resulting from auto accidents, construction accidents and other acts of negligence, so you can turn to us for help obtaining the full and fair amount of compensation you deserve. Personable and responsive, we promise to treat you with the same care and respect we would a member of our own family, and we will always remain accessible throughout all legal proceedings to address your questions and concern and to provide regular updates as to the status of your case. To begin receiving this high level of personalized attention from an experienced legal advocate you can trust, you can contact the Andrus Law Firm, PLC, by calling our office or visiting our website to schedule a free initial consultation.